For at home chocolate making, small chocolate production or even when testing a batch of chocolate, melting in the microwave is the best way and smartest way to get things done quickly. When guests stop by for dinner you can whip up a chocolate fondue dessert or chocolate candy in minutes by using the microwave. The key to successful chocolate production when using a microwave is to ensure you don't burn the cocoa butter in the chocolate. Raw cocoa butter burns at 120F so this is the key temperature to not exceed. The type of bowl is key also. Glass bowls can heat unevenly and hold heat. So even if the chocolate never reaches a high temperature, it is possible the glass bowl will get too hot and burn the chocolate through heat transfer. 1) Place chocolate in a plastic microwave safe bowl. 2) Microwave at 50% power setting. 3) Stop microwave and stir chocolate every 15 seconds. 4) When most of the chocolate is melted (about 80% by volume) remove the bowl from microwave. 5) Continue stirring chocolate once removed from the microwave till all pieces are melted and mixed. If done properly you will have tempered the chocolate and the working temperature is 87-89F. Understanding How To Melt Chocolate In a Microwave Allows for Fast Dessert Creation. These are chocolate mendiants below in the photo: small spooned melted chocolate drops topped with fruits and nuts. Drop these chocolates onto wax paper and place in freezer for fast set up. Serve as a surprise to guests. 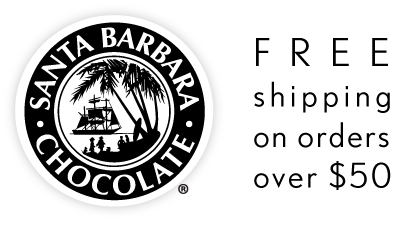 The Santa Barbara Melting Chocolate Chips are our first choice for microwave melting.